Friends of Charlie Hill would like everyone to know that Charlie is back home and recovering from the recent surgery to his right femur that we spoke of in the previous post. Charlie’s wife Debbie says the doctors are encouraged on Charlie’s progress to date and how well the surgery went. They were able to remove all of the old hardware in Charlie’s femur from the fracture he incurred back in ’06 while colt starting a neighbor’s colt. Debbie wants everyone to know that Charlie’s spirits are high, but he will be unable to work or ride for the next several weeks. The doctors’ recovery orders were mainly to rest to let the femur heal while performing some minor at home physical therapy exercises. Charlie would however like everyone to know that as he heals he will have much more free time on his hands. He hopes this will allow him to possibly give some private lessons to anyone interested. 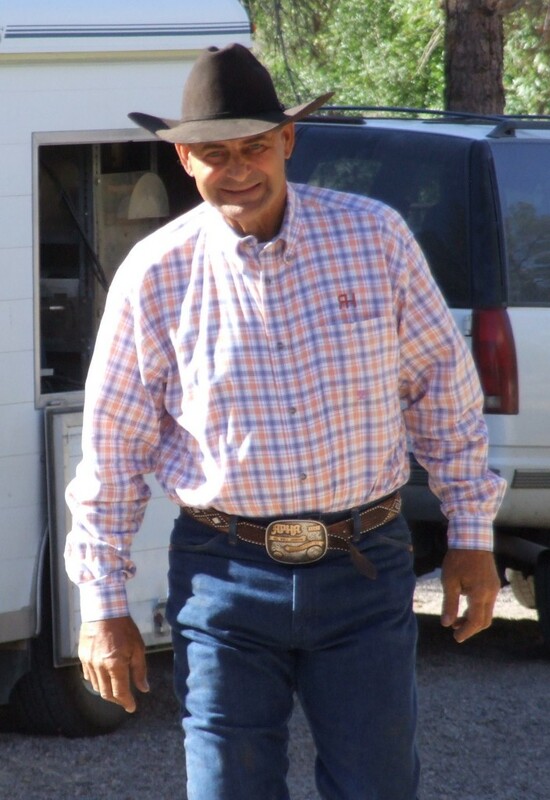 Although he won’t be able to ride Warrior or any other horse, Charlie would be happy to draw upon his years of experience as a horseman to enhance your experience with any particular needs you and your horse may need. If you’re interested in seeing Charlie, feel free to contact Debbie or leave a message via the Contact page.